Photo courtesy of Juan Arriaga. A team of Long Beach City College (LBCC) students is advancing to a national competition after earning high scores at a three-day criminal justice conference in San Diego. 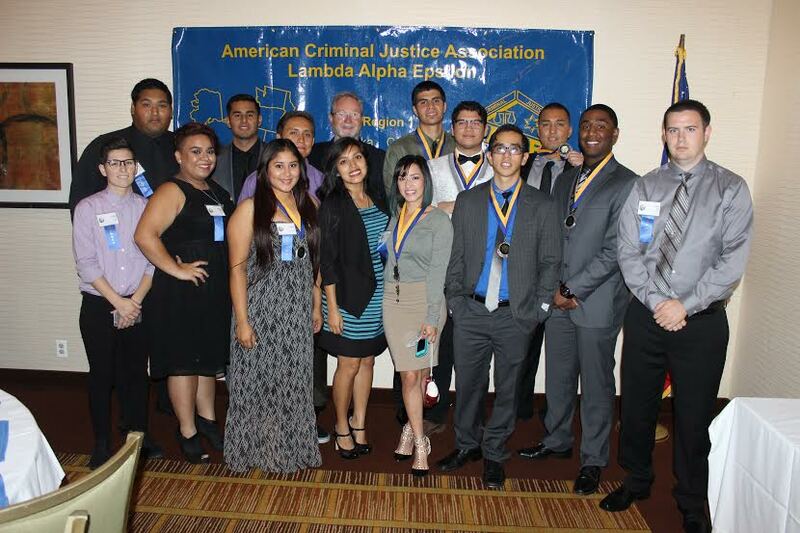 During the American Criminal Justice Association Region 1 Conference held from October 30 to November 1, the 14-member team competed against 29 teams, 120 students overall, from places like Hawaii, Washington, California, Idaho and Nevada. Because the team did so well in this competition, they are advancing to the national conference being held in Nashville in March 2015. Divided into three days, the conference is a mixture of educational meetings and competitions. Michael Biggs, the LBCC team’s advisor said training for the competition works in conjunction with the criminal justice students’ normal class studies. The team raised $1.2K from various fundraisers and received a $1K grant from the school’s Associated Student Body to attend the competition. The benefits of competing in these types of conferences are many, Biggs said. Team member Juan Arriaga added that the students get a taste of commaderie and the chance to apply the skills they are learning in class.